ONE of Canberra’s most enduring and valuable community-sector organisations, SHOUT Inc (Self Help Organisations United Together), announced on March 16 that it will cease operations on May 31. 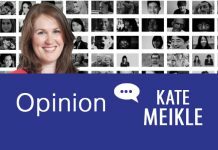 It took this decision following a meeting SHOUT had with the Minister for Community and Disability Services, Rachel Stephen-Smith, at which she advised that the ACT government had terminated its base funding. This is a tragedy and it is hoped that the Cabinet will reconsider the decision. SHOUT is seeking $110,000 a year to continue to support its core functions. Of this amount, $40,000 would be repaid to the government as rent leaving the net requirement as $70,000. SHOUT has operated in Canberra for more than 35 years. 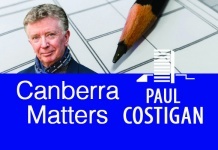 It is a not-for-profit corporation that acts as a shared services centre for the Canberra community sector. It provides office space, high-level administrative support, access to computers and printing and a range of support services. It has meeting rooms and facilitates and co-ordinates education, training and intra-sector collaboration. SHOUT was established in recognition of the difficulty that small community organisations, which have a small client group, had and continue to have in attracting infrastructure funding or other government support. The range of Canberra organisations that SHOUT currently supports, including with the provision of an office, include: ACT Down Syndrome Association, ACT ME/CFS Society, ACT Motor Neurone Association, Brain Tumour Alliance Australia, Bosom Buddies ACT, Canberra and Queanbeyan ADD Support Group, Canberra Region Kidney Support Group, Friends of Brain Injured Children ACT, Heart Support Australia, Parkinson’s ACT, People with Disabilities ACT and Prostate Cancer Support Group ACT. Some of these organisations have advised that it is highly likely that they, too, will fold when SHOUT shuts down. It will be sad if that occurs, but even for those organisations that continue it is likely the best they can hope for is that a member of their board or a supporter has some spare space in a back room in their house for a desk and, hopefully, a home computer and a printer. The ACT government appears, conveniently, to have based its decision to end its support for SHOUT on the NDIS. The government insists that SHOUT pursue funding through the Information Linkages and Capacity Building through the NDIS. However, this misunderstands the very nature of SHOUT and the role it plays. In the first place, SHOUT does not deliver services to people with a disability, it is a shared-services centre and it is highly unlikely that it would be successful in attracting ILCB funding. Secondly, without a continuation of base funding SHOUT could not maintain its office and essential infrastructure in any event. Every government in Canberra since the 1980s has, for starkly obvious reasons, regarded the funding of SHOUT as a priority. The decision to cease funding SHOUT has, therefore, to be interpreted as meaning that the government believes that it is either now redundant or at best that its existence and operations are not now regarded as a priority. We can all accept that prioritising expenditure is a necessary and often difficult task. However, when a government puts a Budget together it does it on behalf of all of us, with our money and, hopefully, mindful of the community’s expectation that the priority accorded to expenditure is consistent with its values and its priorities. It behoves the government to explain in detail why a program of inestimable value to the community, such as SHOUT that has been funded for decades with the full support of the community, is to be defunded. It would be nice, for example, if the relevant Ministers, Rachel Stephen-Smith and Megan Fitzharris, would agree to meet with the affected organisations and their clients, say children with brain injury, women with breast cancer, people with motor neurone or Parkinson’s disease and explain why the ACT Budget, which is now in excess of $5 billion, can no longer afford to cover the $110,000 a year needed to guarantee their capacity to continue to lead a full and meaningful life as valued members of our community. 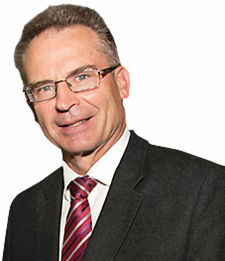 Jon Stanhope was Chief Minister from 2001 to 2011 and represented Ginninderra for the Labor Party from 1998. He is the only Chief Minister to have governed with a majority in the Assembly. He is the patron of SHOUT Inc. The people voted for Light Rail rather than many of these other services. At S1.73 billion per tram line (Auditor General) and seven to be built in the next 25 years we must get used to funds shortages. Also annual operating costs of the tram are double the cost per passenger of ACTION. Thank you Jon Stanhope for this great article in support of SHOUT. Thank you Elizabeth Lee and all our supporters in the Canberra community. We are devastated that SHOUT will receive no more core funding from the government to continue to support all the self help organisations in Canberra.